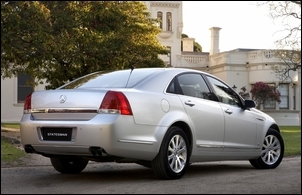 The long wheelbase, luxury versions of the locally built RWD cars have a long and honourable history. Often used by country gentry, the Fairlane and Statesman combined ruggedness, ubiquitous servicing agents and a degree of luxury that would otherwise require stepping up to a much more expensive European marque. But now the Fairlane is gone and the sole remaining example of the species is the Statesman, also available in more luxurious Caprice form. So is there still a market for such a car – especially with a 6 litre V8? Let’s start with that engine. Think ‘6-litre V8’ and ‘fuel prices’ and you have an apparent collision. But on the auto V8 engines Holden has now adopted cylinder deactivation. Termed by the company ‘Active Fuel Management’, the system allows the engine to run in either four cylinder or eight cylinder modes. The switching between modes is achieved automatically and depends on load and other factors. When in four cylinder mode, the inlet and exhaust valves for four of the cylinders are closed, so reducing pumping losses – the engine no longer needs to literally pump air through four of its cylinders. At the same time, other engine parameters – eg throttle position - are altered so that there is not a sudden torque loss when four cylinders stop working. 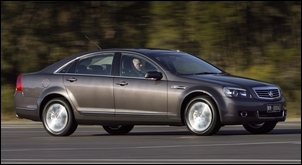 The result is improved fuel economy – Holden says that in country driving, up to 1 litre per 100km. On the car we drove (apparently there is some variation from car to car) the AFM activation was completely transparent – only by viewing the display able to be brought up in the trip computer could we tell whether there was a V4 or a V8 operating under the bonnet. Cylinder deactivation is certainly a worthy technology – and is already used by makers as diverse as Honda and Chrysler – but the Statesman remains a huge car weighing 1844kg and (most of the time) using a 6 litre V8. So it’s not surprising that fuel economy varies from being acceptable to thirsty. We haven’t driven the non-AFM auto Statesman V8 but have had the non-AFM V8 in a Holden Ute. In that car, driven very gently on mostly country kilometres, we recorded 12 litres/100km. In much the same driving, the Statesman recorded 11 litres/100km – neatly meeting Holden’s claim. However, as with the Ute, we think that this is the very best fuel economy you will ever see – and in city conditions, 15-16 litres/100km was often the average. The official government average for the AFM Statesman is 12.9 litres/100km. Backing the V8 is a 6-speed auto that has manual driver over-ride functions. In terms of performance, the Statesman is a stonker. It’s damn quick off the line and its instant kickdown makes it a very safe car for overtaking on country roads. This is never a car where you wonder if the power is as claimed – the 260kW (at 5700 rpm) and the 517Nm (at 4400 rpm) are every bit as effective, tractable and responsive as buyers would hope. The gearbox logic is also good, and with so much torque available, the car will climb even steep open road hills without dropping down a gear – let alone hunting between gears. But the trans isn’t all good news. Several times in the period we had the car the transmission flared (the engine revs momentarily rose) on light-load gear-changes. The ride and handling are also a mixed bag. The car is at its best in urban areas. It’s surprisingly wieldly for such a large car, being able to be flicked through roundabouts and such with ease. There’s some body roll from the soft suspension but grip from the 225/55 tyres is good and the ESP very effective. Around town the ride quality is also excellent. But on the open road the Statesman shows a surprising lack of suspension development. On bumpy secondary country roads - just the sort of conditions you’d expect the car to be unfussed, comfortable and composed - the Statesman can be woeful. On these roads the suspension is way underdamped: the car porpoises along, heaving and pitching, with the seats feeling quite mismatched to the ride. Interior space is enormous – not only is this a very large car, but it also has excellent packaging. We doubt anyone would ever require more rear kneeroom, while space in every direction (except in rear headroom for the very tallest) is lavish. At 535 litres, the boot is also huge, although access to it is not great. Incidentally, the underfloor spare wheel is very heavy and awkward to manoeuvre – we doubt if smaller or older people would be able to extract it. Inside the cabin the specs list looks great – but many other cars have well and truly caught up with the luxury level.... and at a lower price. 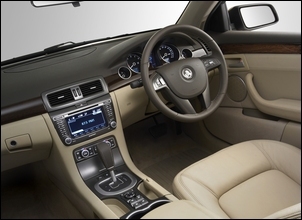 For example, despite having a colour LCD in the centre of the dash, the Statesman does not have navigation and does not have a reversing camera – the latter especially noticeable for its absence when you are trying to park the vehicle. It doesn’t appear that a reversing camera is available even as an option. But the equipment that is fitted works well, and is well-labelled and easy to use. The cabin never feels as luxurious as you’d expect. There are exposed bits and pieces that seem to be missing trim covers – the seatbelt anchor bolts are naked, and with the front seats positioned forwards, rear seat passengers can see exposed all the motors and other mechanisms of the front seats. In the test car there was also clear clunking noise from the front suspension, although in cruise the car is quiet and refined. There are two ways of seeing the Statesman. This is the pinnacle of Australian automotive manufacturing: a world class, high performance, large luxury car at – in those terms – a bargain price. The other way is to suggest that this is a dinosaur car, one that like the Fairlane, will soon go the way of all things no longer relevant or filling the original marketing niche. To be honest, for the first thousand kilometres we could clearly see both perspectives. But then when we discovered how badly the Statesman rides over the indifferent surfaces typical of tens of thousands of kilometres of country roads, our feeling crystallised. 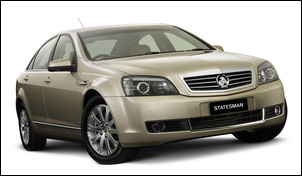 If a rich framer can’t buy a Holden Statesman confident that its Australian pedigree will contemptuously dismiss poor roads, then at AUD$67,990, who will actually buy this car? 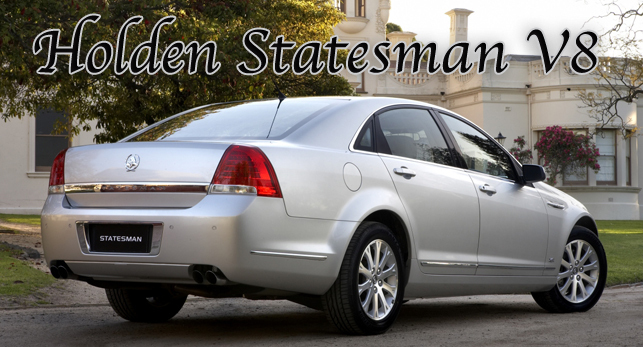 The Holden Statesman was made available for this story by Holden.